There are times the “backside in chair, fingers on keyboard” approach is insufficient for a productive writing session. Sometimes the longer we stare at the blank screen, the more we want to throw up our hands and walk away. So how do we know when we should walk away—for a time—and when we should persevere? 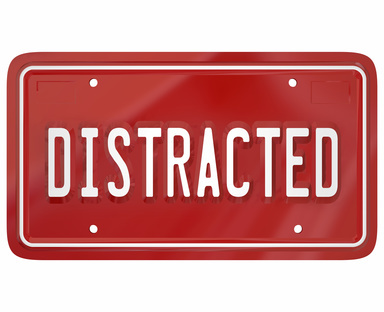 Let’s consider what’s distracting us. Are there other tasks calling loudly? If you work from home like I do, there is always something else you could be doing: the dishes, the laundry, redecorating the living room. You may find it helpful to actually schedule writing time. Show up as you would to any other appointment and write. It doesn’t have to be great writing. It doesn’t even have to be good. Just write. Practice may not make perfect, but it will make better—much better. Have we gotten enough sleep? While it may seem almost hypocritical for me to be writing this post at nearly 11:00 at night, I am being more diligent about getting at least seven hours of sleep most nights. It’s far easier to think clearly and get our words on paper (or the computer screen) if we’re not distracted by the call of our pillow. “Eating at our desk is not a good idea,” says she who just tossed the last few bites of a granola bar into the trash. Setting specific times to walk away from our computer to eat a healthy meal or snack is good for far more reasons than I have room to write here. I encourage you to “graze” throughout the day. Small, healthy meals will give you energy and help you think clearly. Plus, they won’t make you lethargic and sleepy like bigger meals can. Have we gotten enough physical activity? As a former personal trainer, I could give you a great long list of why we all need to exercise every day, but I’ll share just a few. We can become distracted if our mind has a tendency to wander. We can become distracted if a writing project takes longer than we had hoped. We can become distracted if our muscles become stiff and achy from remaining in the same position too long. Regular fitness breaks throughout the day can be an excellent way to clear our mind and prepare us to get back at our writing. Do we feel guilty for pursuing our desire to write? There will always be dozens of other things we could be doing with our time, but if we really feel writing is something we’re meant to do, it is best to sit down with our family members and explain to them how important we believe it is. Why not work out a plan together that includes time for our writing? Are we at a crucial point in our writing and not exactly sure how to proceed? Do we feel ill-prepared for the writing project we’ve taken on? This can be a distraction from Day 1, one we really can’t ignore. We must ask ourselves a series of questions: 1) Why did I take this on? 2) Do I know deep down that I can actually do this project? 3) Do I have the time to do it? 4) If there’s a deadline, is it reasonable? 5) Do I know where to find the resources I need to complete this project? 6) Can I gain the required skills and knowledge in the allotted timeframe? I encourage you not to give up too soon, but if you realize you’ve bitten off more than you can chew, as the saying goes, speak to the person for whom you agreed to do the project and ask for either an extension or for them to find someone else. I realize each situation is unique. These recommendations are only suggestions. Only you know if they’re applicable to your particular situation.